I remember on my last trip to Philadelphia that everyone pointed me towards La Colombe for coffee. 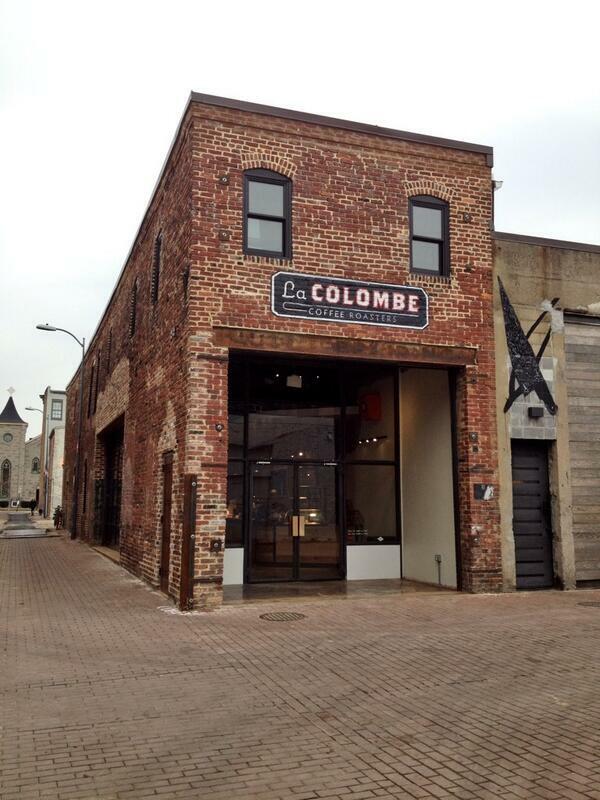 With multiple locations in Philly, New York, Chicago, and Seoul, South Korea, La Colombe has now entered the D.C. market with a beautiful space located in Blagden Alley directly next to Rogue 24. The coffee shop has a stunning brick exterior, with large garage doors lining the side which will open up when the weather is nice, and their signature hand painted Italian mugs and plates don the wood tables throughout. In addition to their single origin coffees, they are also featuring delicious treats like macarons and cookies from D.C.'s own Frenchie's. I swung by last weekend with a friend and really enjoyed my time at the new cafe. It's a great addition to the Shaw neighborhood, and now I can add it to my list of spots in town that have contributed to a solid coffee culture. Other favorites of mine include Blind Dog Cafe, The Coffee Bar, and BakeHouse.